To plan a project is to dream. And only with dreams and hard work does the project become a reality. Our great dream and goal has always been and continues to be the creation of a platform on which our children and youth can experience and live the culture which we were lucky to experience in our countries of origin. To create a platform on which deep friendships are made, from where our games are played, so that we create a path to our future while always cultivating our roots. Over the years we have worked with many young people, who are now married and with children. But the youth and children who remain inspire us to continue with our project. 1. To work with community centres teaching dance. In fact we have achieved this goal in part with the San Lorenzo community Centre and its workshop Surco. 2. To create a dance group for adults and older adults who are senior citizens. 3. To create a dance group for children of Spanish descent who have special needs, in particular, intellectual challenges. 4. To have our own theatre to promote a group at the level of the Ontario Board of Tourism. 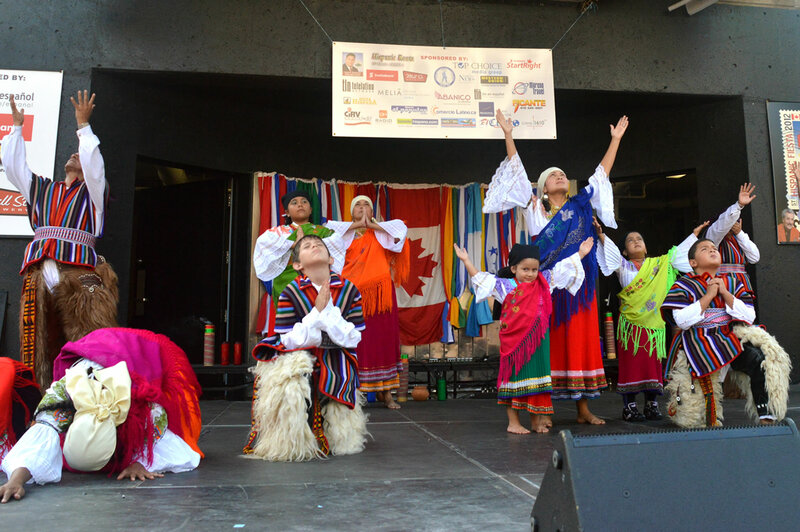 Thanks to the support of parents of El Salvadorian-Canadians, a dance group- DanzArte- has been formed to practise and perform El Salvadorian dances. New ideas? New projects? We are ready and willing to hear them and work together.